Andrew Murillo, better known as “Coach Drew” is a 10th Planet Jiu-Jitsu Brown Belt under Master Eddie Bravo. Drew started training at 10th Planet Jiu-Jitsu back in 2011 under Eddie Bravo Black Belt, and Head Instructor of 10th Planet Van Nuys, Alder Hampel. 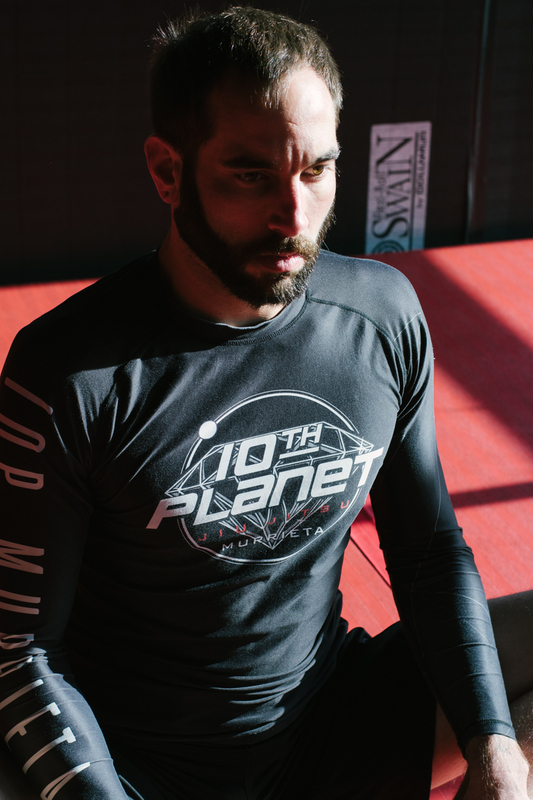 It was about 2 years into his purple belt, when he decided to relocate to Murrieta, CA and open 10th Planet Murrieta to pursue his passions of teaching, competing, and building a team. Since then, he has achieved the rank of Brown Belt, and earned the titles of “Gracie National Champion” and “N.A.G.A. Expert Champion”. Drew has built a great foundation in Murrieta for learning, growth, and positivity through 10th Planet Jiu Jitsu. His passion for Jiu Jitsu and for teaching are undeniable and you will experience it with every class. Coach Jeff’s passion for martial arts started with watching old martial arts movies with his older brother, only to have it become a life long goal to fully immerse himself into the captivating culture that came with it. Jeff was introduced to Muay Thai and Jiu Jitsu by his former coach 10 years ago, where he trained on and off independently. Here he learned the hard lessons of being resilient to the conditions necessary to being a martial artist - strength, conditioning, humility, poise, and respect. In 2013 Fight Lab was the next step. Muay Thai, Jiu Jitsu, and boxing became his focal point for about a year where he competed in multiple tournaments including pancration and Jiu Jitsu. In 2017, Jeff landed at 10th Planet after meeting coach Drew outside the gym. After a year of consistent attention to his training Jeff earned his blue belt in 10th planet Jiu Jitsu. Jeff completed the 10th Planet coach program under coach Drew and started assistant coaching the Monday Little Diamonds and Junior Diamonds classes. After assisting regularly with the kids program, Jeff earned his coaching slot with the adults Diamond Squad. You can catch his class on Tuesday and Thursday at 9am or challenge him during almost any other open mat. OSS! Sensei Joe Phebus has trained multiple martial arts for over 30 years, including wrestling, boxing, japanese jiu jitsu, kickboxing, judo, and kajukenbo. Joe is a professional and amateur corner man and has cornered over 500 professional and amateur MMA bouts; he has taught thousands of martial arts classes and hosted many martial arts seminars. Joe has a passion for all martial arts and is excited to be our Lead Youth MMA instructor. Sensei David Phebus began training martial arts when he was 8 years old. He started with primarily striking oriented martial arts -boxing and kickboxing. At age 10 David took his first Jiu Jitsu class and was hooked, practicing Gi and No-Gi every change he got to increase his knowledge. As a youth David competed in numerous martial arts tournaments including boxing, kickboxing, jiu jitsu, pankration and karate.